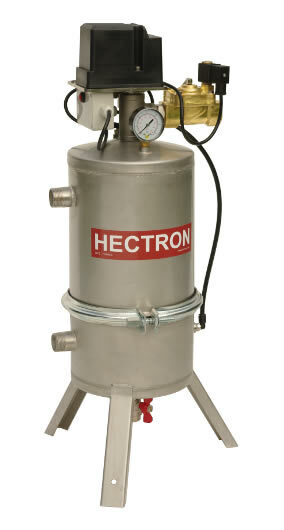 The Hectron automatic self-cleaning filters have a small footprint and the connections can be rotated in the horizontal plane to suit your pipe layout. 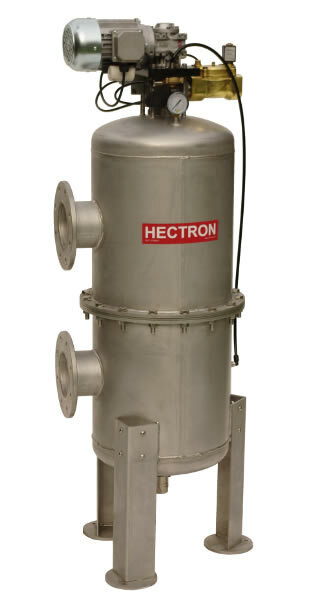 The filters are manufactured in France from 304 or 316 stainless steel and feature mesh sizes from 1 micron to 200 micron. Flow rates are up to 160 m3/h and maximum working pressures to 6 bar standard or 9 bar optional. Minimum inlet pressure for all filters is 2.5 bar and minimum outlet pressure is 2 bar. Maximum liquid temperature is 50 oC.